Mr. B's Blog: You Must Read These Five Books That Will Totally Transform Your Classroom! You Must Read These Five Books That Will Totally Transform Your Classroom! Over the summer, I was gifted four books for my birthday and I purchased one audio book in the beginning of the school year. You won't believe what happened next! Author's note: This article is a parody of a Buzzfeed-esque, clickbait article, but does contain real information on how these five books shaped my new year. I started He's The Weird Teacher about two hours after I received it and was done by the end of my sister's softball game. I had interacted with Doug numerous times on Twitter and was always intrigued by his insightful, yet inherently funny musings about education. The central idea in this book is that education should be weird (and fun) for students. Seeing as many students describe me this way, it was a match made in heaven. I loved this book for many reasons, but the main reason holds true for all of the following books: It is a book written by a teacher without an abundance of technical jargon and statistics. It is one man's true experiences in his classroom. Mr. B: "Thank you for learning." Student: "Thank you for teaching." Doug, thank you for writing. Thank you for being weird. 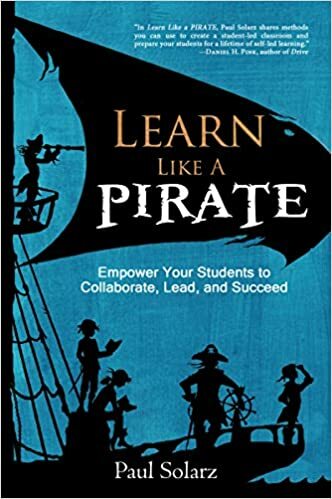 While all books on this list had a profound impact on my life for this year, I would venture to say that Learn Like a Pirate had the biggest effect on my instructional practice and classroom environment. The focal point of this book is that students can and should run the classroom. They are able to do everything from various classroom tasks to leading their own learning to instructing others. I am currently five weeks into trying this in my room and it is a world of change. I am seeing the students step up as leaders in the classroom and turning to each other to help. To remind the students to consult other students first, I wear a sign all day that says "Ask 3 Before Me." This serves as a visual reminder to seek out help from other students first. I still have a lot of interaction with my students, but it is my goal to get them to be self-sufficient. Students enjoy taking charge and helping others. It's definitely helped them mature faster and I'm glad I made the switch. I get to spend a lot more time watching students become problem solvers rather than me worrying finding solutions for them. It is a not a perfect system yet, but we are smoothing out wrinkles as they arise. Paul is also an incredible guy. We have interacted numerous times on Twitter and I was lucky enough to have a conversation with him for the EduRoadTrip (I should also mention that Doug is a future guest. Dave, Ron, and Jessica, you are more than welcome too!) In our conversation, I learned even more about a student led classroom and became even more passionate. I asked him a question the other day about how to approach getting other adults on board, and he said to have the students take charge of redirecting. It was an interesting idea and it's still in progress. Paul, thank you for writing. Thank you for inspiring a student-led room. #TLAP was one of the first Twitter chats I participated in back when I first joined up on Twitter in February. However, I didn't actually read Teach Like a Pirate until August. I was sent this and Learn Like a Pirate by Dave Burgess himself, under the request of my good friend Dr. Geniene Delahunty. I have an awesome PLN! This book resonated with me for a number of reasons. First, it reinforced what I already believed: Education should be fun for the students and we shouldn't worry so much about the minutia of things beyond our control. Using the PIRATE acronym, teaching can be enjoyable and meaningful for everyone in the room: both the students and the teacher. Each letter is as important as the next and can transform any classroom. I especially liked the hooks section. While Dave is a history teacher, they can be applied to any subject area. They are quick and easy ways to open a lesson or take it to the next level. While I like to think that my lessons are engaging, this made me think of more ideas. I often steer clear of arts-and-crafts type activities, but I got a lot of great ideas on how to incorporate them from those hook ideas. Perhaps the part of the book that I took most to heart was the first days of school section. In past years, I did a very traditional "Here are the rules, here's who I am, here's what we are going to learn" type situation. The book challenged me to think about those first days differently. You only get one chance to make a first impression. Day one of his book involved building something out of Play-Dough and sharing it. I modified it to have them decorate their supply boxes and sharing. Day two in his book presented a desert survival scenario where his students had to choose which people to save. We did a similar concept, but with objects to save rather than people. At no point on the first two days of school did I launch into my rules and about me speech, and the students definitely benefited. I am hoping to soon pick up a copy of P is for Pirate, Dave's second book which is co-authored by his wife, Shelley. Dave, thank you for writing. Thank you for teaching me to teach like a pirate. Full disclosure, I am a giant Ron Clark fan. There are very few people in the world that I have followed to an almost religious level and Ron is certainly one of them. 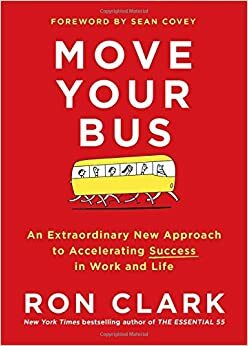 I have read all of his books, but Move Your Bus is my favorite. After reading this, I honestly had to ponder what I am. I like to think that I am definitely not a Walker, Rider, or Driver. I would say I am a mix of a Runner and a Jogger. I always do want to do my best, but it's not always to improve everyone. As you read the book, think about what you might be. One message I really enjoyed was that you shouldn't pour your energy into a Rider. Chances are, this energy would be wasted. I have seen this first hand and agreed. Some people just want to bring others down and there's no fixing that. However, it is important to note that this is only true for helping adults. We should never give up on students, regardless if they are Riders. The final book on this list was the audiobook. I now have a longer commute and this helped to fill that time for a week. 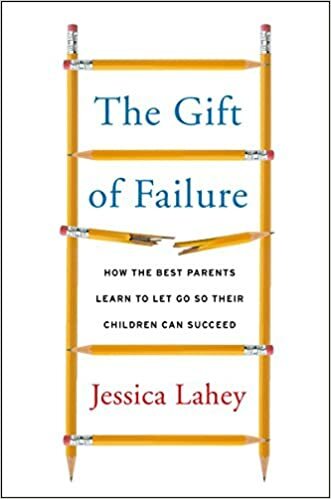 The Gift of Failure has many interesting points and works well as a companion piece to Learn Like a Pirate. First things first. This point is written as a hybrid of a parenting and teaching book. While it seems posed more of a parenting book, I still got a lot out of it as a teacher. The overall theme is that we should not coddle students so much. I have seen this in my classroom and in my own personal life. Children are capable of great things, we need to let them show us. Jessica advocates for leading students to success without doing it for them. Allow them to learn from their mistakes. The best way to effect change is a natural consequence. Children will understand the why so much better if they experience it for themselves. 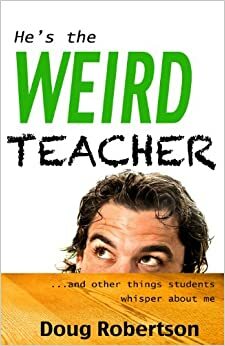 This book is unique because it is not explicitly a teaching book. You will have to take the lessons and apply them to your own educational classroom. There is a lot of merit to this book for both parents and teachers. Jessica, thank you for writing. Thank you for giving me the gift of failure. All of these books are great reads. Many are quick reads, and feature very few statistics and studies. Try them out for yourself. Let me know what you think in the comments below. Thank you! I always enjoy our conversations! Thank you! You continue to inspire! 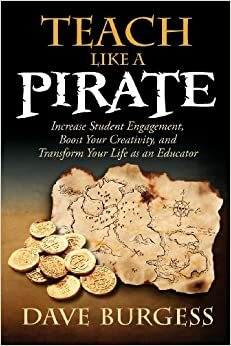 LOVE "Teach Like A Pirate" (and "P is for Pirate") and "Move Your Bus." Have you read "The End of Molasses Classes" by Ron Clark? If not, it seems like one you'd enjoy! I have read Molasses Classes! I love RC! Great list! Learn like a pirate has transformed my classroom this year! Thanks for commenting! I've heard how LearnLAP has changed many classrooms and I see it for myself too!